Vice Minister Kitamura received a visit from Dr. Sanjaasuren OYUN, a member of State Great Khural of Mongolia and the former Minister of Environment and Green Development. They exchanged views on the environmental cooperation between two countries including the Joint Crediting Mechanism (JCM). They exchanged their views about the cooperation on the environmental issues. 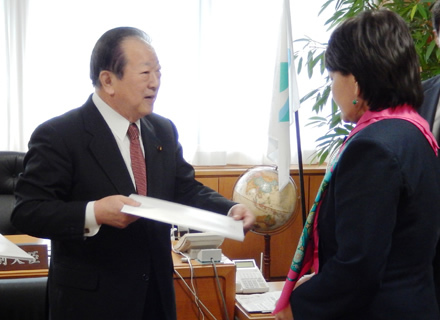 Vice Minister Kitamura explained the appeal of National Parks of Japan.